If you’ve searched from the cheapest photo prints online but are looking to go big, Winkflash has you covered. Just think what you could showcase as a 24 × 36 size Poster Print. How about little league group shots, a collection of family reunion images or a super size close-up of your puppy? A stunning picture enlargement is not only a great way to highlight your favorite picture, but you can spruce up your wall decor instantly with a little color and personality. Your image will fill the paper – side to side and top to bottom – so you get full coverage. Winkflash poster prints are printed on real silver-halide paper to preserve the integrity of your images. Colors are rich and vibrant. Our large photo prints have a matte finish. If you frame your art using a glass or plexi protective cover you won’t be competing for shine. What Memories Look Best in Poster Size Prints? 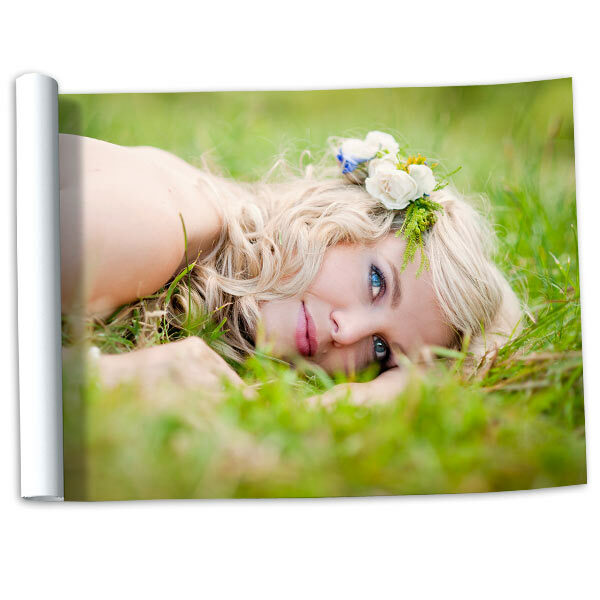 Our photo posters scale to 24 × 36 enlargements, so start with digital photos that have a 3:2 print aspect ratio. This means your 4 x 6 pictures will fit perfectly into this larger dimension. Images taken with a DSLR (that have little to no cropping) are great candidates, but you can also select higher resolution smartphone photos and also point and shoot favorites. Since you are enlarging to create Poster Size Prints, upload files up to 10 megabytes, this way your photo will look its best. If you would like to share these pictures, order wallet size photos. They’re perfect for photo albums or keeping by your side to relive your favorite memories, anywhere, anytime. We’ve seen great ways to decorate with 24 × 36 Poster Prints. A favorite is when a wall is dedicated to purely family photos. Framed or unframed, it’s cool to view a collection of pictures in all sizes or create an arrange of framed prints on your wall. Order 18×12 inch photo prints, 11×14 photos and frame them in an artistic layout to draw attention to any drab wall. Photos as wall art is a unique and affordable way of transforming your house into a home! We suggest uploading files up to 10 megabytes. It’s super easy to create a Photo Collage Poster that mixes together lots of your favorite images. We offer many photo collages, up to 24 x 36 sized collages. They make great photo wall posters for the kids’ rooms, college dorms and even school lockers. Can you picture a group shot of the entire cheerleader squad paired with several individual shots? How about a large poster print that shows many of the pictures you took on a recent family vacation? Our cheap online printing and high quality poster prints are sure to bring your favorite moments to life. Login to Winkflash, then select the Photo Collage page. Choose your color background and choose from our many collage layout options, Then start personalizing your collage by dragging and dropping your photo files.